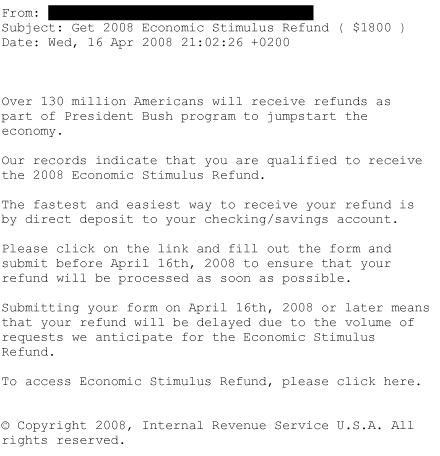 News worth celebrating: the Economic Stimulus Payments are in the process of being distributed – four whole days early! any emails or calls received from someone claiming to be from the IRS or any other government agency. con artists claiming to be government representatives calling to initiate payment transfer of impending government tax "rebates". Have you received any of these types of fraudulent pitches? Report them here!